The task force created by the Organization of American States, OAS, in an attempt to bridge different members’ proposals to consider the readmission of Cuba seems to have stalled with the main actors clearly underlining their stance. Braskem SA, Latin America’s largest petrochemicals producer, plans to invest $2.5 billion in a polyethylene plant in Peru, said Cleantho de Paiva Leite, Braskem’s director of international projects. Sao Paulo-based Braskem, which holds a 50 percent share of Brazil’s resins market, also is working on engineering studies for a $1.1 billion petrochemical plant in Venezuela with state- owned Pequiven SA, de Paiva said in an interview in Lima. The spark for the conversation sought by Fernández de Kirchner was a remark Chávez is reported to have made in private to Brazilian President Inacio Lula da Silva. That remark, it’s said, was to the effect that Venezuela was on course to take over foreign companies except for Brazilian ones. President Hugo Chávez’ strategy of nationalizing companies including foreign ones, and a remark he did or did not make in seriousness to Brazilian President Ignacio Lula da Silva, appear to have posed problems for him and his Argentine friend and colleague, Cristina Fernández de Kirchner. Chávez has depicted Fernández de Kirchner as an ally and soulmate in his bid to build a regional alliance to counter what he sees as the undue influence and power of the United States in Latin America. But his peremptory takeover of steelmaker Sidor and his tendency to talk off the top of his head may well have put her in between the proverbial rock and a hard place at home. Argentina may be sanctioned for failing to comply with a U.S. court order to turn over to bondholders documents regarding its pension funds, a federal judge in Manhattan said. U.S. District Judge Thomas Griesa ruled in October that Argentine pension funds nationalized by that country’s government and held in the U.S. may be used to satisfy bondholder judgments against the republic. Argentina has appealed. Griesa later ordered the South American nation to turn over documents related to its pension funds to bondholders. Argentine construction activity fell the most in five months in April, as Argentines delayed investment plans amid the global financial crisis and political concern ahead of next month’s mid-term elections. Mexico’s economy will contract this year by the most since 1932 as a slump in the U.S. curbs demand for exports and slows dollar flows from tourism and remittances, Goldman Sachs Group Inc. said. Corporacion Andina de Fomento sold $1 billion of 10-year notes, according to a person familiar with the transaction. CAF sold the bonds to yield 4.5 percentage points above U.S. Treasuries, said the person, who declined to be identified. Twenty-nine countries at the World Trade Organization criticized the United States on Wednesday for reintroducing export subsidies on US dairy products, calling the handouts a dangerous retreat into protectionism and warning of “subsidy wars." Brazil, speaking on behalf of 23 developing countries, told a WTO meeting that Washington was promoting a "murky protectionism" that weakens the global trading system at a time when global commerce is already shrinking at a record pace. Australia, on behalf of agricultural exporting countries, said the announcement Saturday by US Agriculture Secretary Tom Vilsack of subsidies for 91.000 tonnes of mainly powdered milk, butter and cheese was unfair to countries trading fairly, and potentially damaging to global economy's recovery. The subsidy decision under the US Dairy Export Incentive Program follows a similar move by the European Union in January. I would like to take a moment to reflect on a old post I wrote a little under a year ago, on June 19, 2008. It is one third about Southern Copper Peru (PCU), one third about sky rocketing commodity prices, and one third about a intense protest I witnessed in Tarapoto, Peru in 2002. I was in Tarapoto during a family trip to the region to visit my maternal grandfathers home town of Rioja. I may be a bit biased but the province of San Martín is a beautiful region of Peru I highly recommend people visiting Peru check out. I'm going to reflect specifically on the third topic—the protest. If would like you can click here to read my entire post from 6/19/2008. In 2002 I was visiting Tarapoto, Peru. The city is located in the Peruvian province of San Martin, Peru. Rice workers had paralyzed the region because US subsidies had made locally produced rice more expensive than imported rice from the US--which ironically was also widely available in this region of Peru which a large amount of rice. By my fourth day in the city protesters had taken over the town square and blocked the roads to my grandpas home town of Rioja. As a tourist who was fortunate to have family in the city I was able to to get back to Lima before the city was forced to shut down. My family and I were woken up at 6am one morning and quickly informed by my grandpa's brothers we needed rush through the back roads of the jungle and get to the airport as soon as possible. Once we arrived at the airport we were rushing into a back office with other tourists holding US, Canadian and European passports, until a flight could take us all to Lima... all the while protesters attempted to rush the airport gates. It is ironic food prices are now so high, Tarapoto's Rice industry is now growing rice and actually making a profit, although US subsidies still aren't help the overall market. The fact and main point I am attempting to get across is that all it took for protesters to paralyze the region was to create a blockade one highway--leaving the city isolated. Click here to view a excerpt from the only link to an English language article I was able to find that still had an active link. If you can read Spanish, I have found two articles. The first article describes how the situation unfolded. The second article explains the accord which was eventually reached by the protesters and the government. Benito's conclusion... The United States needs to re-think their protectionist policies, especially when it comes to such goods as cotton, food and other agricultural commodities. Easier said than done, but no less a necessary change that needs to happen sooner than later. The Ecuadorian government announced plans yesterday of the establishment of a joint mining company with the country of Venezuela and possibly Bolivia. You can read all the vague details in this article from Chinamining. "We are going to build a great mining company in association with Venezuela and perhaps with Bolivia to exploit some veins of mine ore returned to the State from private hands,"said Ecuadorian Minister of Mines and Petroleum Derlis Palacios. Ecuador paid 35 cents on the dollar to holders of as much as $3.2 billion of defaulted bonds and gave creditors a second chance to sell back their securities. The payout is 5 cents more than the minimum price set by the government and the 30-cent payout offered by Argentina in its 2005 debt restructuring. Ecuador didn’t say how many investors participated in the buyback. The government, seeking to pressure bondholders into participating, said it won’t improve the offer to those creditors who hold out of the buyback auctions. President Rafael Correa halted payments in December on $510 million of 2012 bonds and in March on $2.7 billion of 2030 bonds, saying the securities were “illegitimate” and “illegal.” A drop in oil exports has sparked a tumble in Ecuador’s reserves. Ecuador’s stance is similar to that of Argentina after its 2005 debt settlement. Creditors holding $20 billion of the bonds Argentina defaulted on in 2001 rejected the government’s offer of about 30 cents on the dollar. Then-President Nestor Kirchner pushed legislation through congress that blocks the government from making a second offer to creditors. Nuclear Power Corp. of India is bidding for stakes in uranium mines in Russia and Kazakhstan, and offered to build reactors in central Asia, Chief Executive Officer S.K. Jain said. “We’re trying to achieve stakes in mines,” Jain said today in an interview at a Moscow nuclear forum organized by Rosatom Corp., the country’s nuclear holding company. The company is discussing buying into sites including the untapped Elkon deposit in Russia’s Far East, he added. India, which suffers peak power shortages of as much as 17 percent, needs uranium to fuel 28 planned reactors and meet a target of adding 40,000 megawatts of nuclear generation by 2020. The second most-populous nation will seek an annual 1,500 metric tons of uranium for 60 years to fuel new reactors, Jain said. “We’re exploring the possibility of a long-term partnership and not only for uranium supplies,” he said. India proposed building 220- to 500-megawatt reactors in Kazakhstan, which doesn’t yet have any nuclear power plants, he added. Crude oil rose to a six-month high after a report showed that U.S. consumer confidence jumped to the highest level since September, signaling demand may rebound. Copper prices rose in New York and London after a report showed U.S. consumer sentiment jumped this month to the most positive since September. Gold may target a record $1,250 an ounce as a continuation head-and-shoulders pattern may be forming within a longer-term trend, Standard Bank Group Ltd. said, citing trading patterns. Platinum fell the most in two weeks in New York on concern that auto-industry demand for the metal will take longer to recover than other parts of the economy. Palladium futures also declined. Corn fell, erasing an earlier gain, on speculation that Midwest farmers accelerated plantings delayed by rain, improving prospects for output in the U.S., the world’s largest exporter. Obama nominates hispanic woman from New York City for the Supreme Court! WASHINGTON (Reuters) - President Barack Obama will nominate Appeals Judge Sonia Sotomayor to the U.S. Supreme Court, a White House official said on Tuesday, selecting a woman who would be the court's first Latino to replace retiring Justice David Souter. Obama's choice of Sotomayor, a 54-year-old judge on the 2nd U.S. Circuit Court of Appeals in New York, was unlikely to change the ideological makeup of the high court because Souter, 69, was part of the panel's liberal wing. The court hands down rulings on such divisive social issues as abortion rights and the death penalty as well as deciding business and property rights cases. Its members are appointed for life but require Senate confirmation. Conservatives quickly moved to criticize the choice but political analysts said that, barring an unexpected scandal, there was little chance the nomination could be derailed. 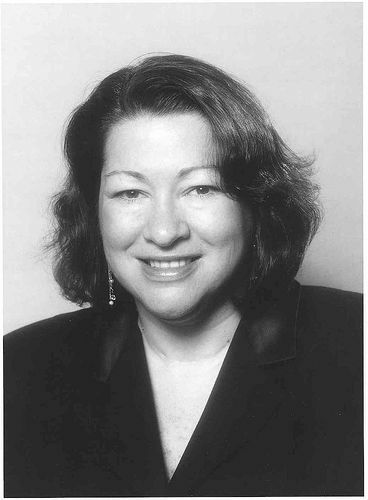 Sotomayor, a child of Puerto Rican parents, is most widely known for her decision as a trial judge in 1995 to bar Major League Baseball from using replacement players, ending a nearly year-long strike. The main impact for Latinamerica of the global financial crisis and economic slowdown has been the contraction of trade, so far in the range of 9 to 11%, revealed Alicia Bárcena, Executive Secretary of the UN Economic Commission for Latinamerica and the Caribbean, Cepal. “The strongest impact we are seeing in the region is the fall in trade volumes. I believe that the “shock” of the contraction of global demand for our goods and services is our most relevant issue”, said Bárcena in an interview with the Cuban daily Granma. She recalled that when the last big crisis Latinamerica’s foreign debt was equivalent to 24% of GDP, while in 2008 it had dropped to 8%. Liberal political parties and thinkers from Latinamerica are holding their annual congress this week in the Venezuelan capital Caracas. The event is in the framework of the 25th anniversary of the local branch Cedice-Libertad and will promote debates on liberal policies to address poverty and the current global slowdown. The congress is bound to spark some reaction among President Chavez followers since his Bolivarian revolution and XXIst Socialism stand at the opposite end of the political spectrum from the Liberals and the concept of individual freedom. The two events will be taking place during a particularly sensitive week since President Chavez has ordered the nationalization of oil industry subcontractors, banks, steel industry, food processors and farm land considered idle. Direct foreign investments in Latinamerica and the Caribbean are showing a significant resistance to the global crisis and in 2008 reached a record 139 billion US dollars, up 9.4% from the previous year according the United Nations Conference on Trade and Development. Bolivia’s commemoration on Monday May 25th of the 200th anniversary of the first uprising in Latinamerica against the Spanish colonial empire will also mark the beginning of similar independence celebrations along the continent which will peak in 2010. Colombia’s President Alvaro Uribe says it would be “inappropriate” for him to seek a third consecutive term. His statement comes two days after the Senate approved a referendum that would ask voters to permit him to run again. Uribe did not, however, clearly rule out a re-election bid. China will launch its first iron ore trading platform next week in a move that may lead to setting up its own pricing index and possibly exerting more influence over import costs, an official and reports said Friday. The Rizhao International Iron Ore Trade Center will begin providing electronic commercial services for iron ore suppliers and steelmakers on Monday, said Liu Qiang, sales manager of Shandong Huaxin Trading Co., which is heading the project. The center, a joint venture by Shandong Huaxin and four other local companies involved in bulk commodity dealings, will handle electronic transactions, information exchange, quality inspection, storage, transport, insurance and trade settlement, Liu said. The center will act as a clearinghouse for information on iron ore trading, Liu said. "As it gains influence in the long-term, it may have some influence on price negotiations," he said. Rizhao, a port in eastern China's Shandong province, is one of the country's biggest handlers of iron ore imports. The trading platform would likely mainly serve China's numerous smaller steelmakers. They buy independently from the biggest mills and do not pay the same benchmark prices the big steelmakers agree to each year in sometimes tortuous negotiations with overseas miners like Brazil's Companhia Vale do Rio Doce SA and global miner Rio Tinto Group. Meanwhile, the annual negotiations with overseas iron ore suppliers dragged on, according to the government-affiliated China Iron & Steel Association, which vehemently denied reports that Chinese steelmakers had settled for 30 percent to 35 percent price cuts. "China's steel industry and those of Japan and Korea are facing severe shocks from the global financial crisis," CISA said in a statement posted on its Web site. It said the annual negotiations were continuing on a basis of "mutual interest and long-term stability." Unlike in previous years, when Shanghai-based Baosteel Group led the talks, this year CISA is handling the negotiations. Analysts say it is seeking at least a 40 percent cut in this year's benchmark prices. China imported 444 million tons of iron ore in 2008 - half of the volume of all imports worldwide, according to government figures. Imports in January through April surged to 188 million tons, as traders took advantage of lower prices to build up stockpiles. Iron ore pricing has long been a point of contention between China, the world's biggest steel producer and consumer, and foreign raw materials suppliers. Such friction intensified in recent years as surging demand due to the booming economy and speculative buying drove prices for iron ore and other commodities higher. But a slowing in industrial production due to the global economic crisis has raised expectations that Chinese and other steelmakers may win big concessions in this round of talks after yielding to demands for double-digit increases in ore prices in previous years. [Source] -- Associated Press researcher Ji Chen contributed to this report. The transition of power in democratic countries is not always peaceful. That's why ChinaSouthAmerica has taken a great interest in Mongolia's presidential elections. Mongolia's opposition Democratic Party candidate Tsakhiagiin Elbegdorj has won the presidential election, according to both sides in the campaign, reports Reuters. Mongolia's democracy is a mere 20 years old, so lets give this country sandwiched between communist China and Putin's Russia, a nice round of applause. Lula's visit to China has been anything but boring. On the heels of the $10 billion oil for cash deal reached between Brazil and China this past week, comes news of negotiations for two deepwater oil blocks between Petroleo Brasileiro SA (PBR) and China Petroleum & Chemical Corp. The two oil blocks under negotiation between oil giants China Petroleum & Chemical Corp. (SNP) and Petroleo Brasileiro SA (PBR) are deepwater exploration blocks located in the north of Brazil, the Brazilian company's top financial official told Dow Jones Newswires on Thursday. Conversations, however, are still ongoing and the deal isn't closed, said Almir Barbassa, chief financial officer of Petrobras, as the Brazilian company is known. The blocks under consideration are within Brazilian waters, are 100% owned by Petrobras and run deep, or about 2,000 meters, he said. They are located off the coast of the two neighboring states of Para and Maranhao in northern Brazil, Barbassa added. Earlier this week, China's National Energy Administration Chairman Zhang Guobao told reporters in Beijing that Brazil would offer two oil blocks to Sinopec, as the Chinese company is known, as a way to strengthen energy cooperation between the two countries. He didn't give any further details. The Mongols gained fame in the 13th century when under Chinggis KHAN they established a huge Eurasian empire through conquest. After his death the empire was divided into several powerful Mongol states, but these broke apart in the 14th century. The Mongols eventually retired to their original steppe homelands and in the late 17th century came under Chinese rule. Mongolia won its independence in 1921 with Soviet backing and a Communist regime was installed in 1924. The modern country of Mongolia, however, represents only part of the Mongols' historical homeland; more Mongols live in the Inner Mongolia Autonomous Region in the People's Republic of China than in Mongolia. Following a peaceful democratic revolution, the ex-Communist Mongolian People's Revolutionary Party (MPRP) won elections in 1990 and 1992, but was defeated by the Democratic Union Coalition (DUC) in the 1996 parliamentary election. The MPRP won an overwhelming majority in the 2000 parliamentary election, but the party lost seats in the 2004 election and shared power with democratic coalition parties from 2004-2008. The MPRP regained a solid majority in the 2008 parliamentary elections but nevertheless formed a coalition government with the Democratic Party. The prime minister and most cabinet members are MPRP members. Mongolia has large deposits of copper, uranium and other commodities. Naturally, the question of how to spread the benefits of foreign investment in their countries natural resources is at the top of both candidates respective messages to the voters. According to article from AP, about 50 election observers from 11 international organizations and embassies such as the U.S., Sweden and Japan monitored the balloting. This is the 5th election is for the new democracy which experienced a relatively peaceful uprising that brought down the pro-Soviet Union government in 1990. Internationally the country has come to be seen as a success story for democracy in a region dominated by authoritarian governments, reports AP.